Having a son or daughter who is a picky eater can be an exercise in patience. No matter what you put in front of them, there is always something wrong with it. Aside from trying to guilt them with tales of starving children, experts say there are a number of other routes available to change a fussy eater's way. One of the first things to do is to establish ground rules for a sit-down family dinner. That means turning the television off and have a conversation with the family. Focusing on the fare and company may make them realize that not all healthy foods tastes bad. Another option available to parents is giving a picky eater a mix of their preferred choices of food along with the food that you have prepared with the stipulation they only get to eat what they want when they've finished what you've made. Finally, dads may want to consider planning meals in advances and including their sons or daughters in the process. 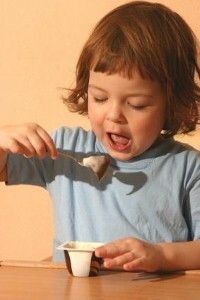 Doing so will allow the children to feel involved and may encourage them to taste new dishes.